Abused Children: Inside Out | Becoming Star-Lord. 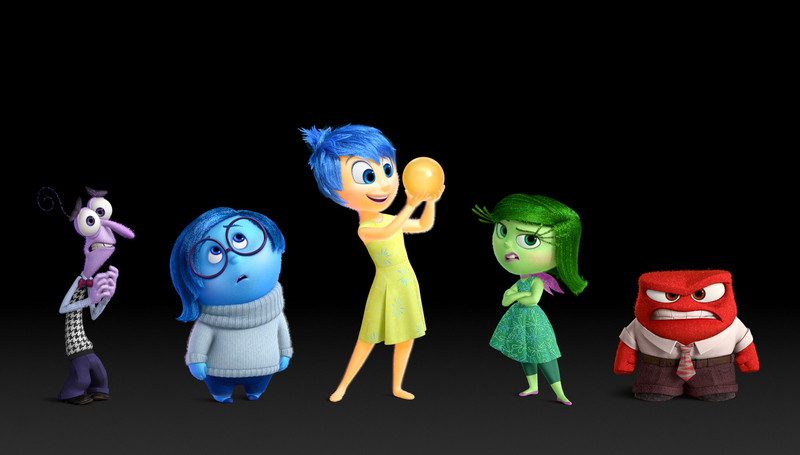 INSIDE OUT: The emotions. Joy holds a memory. I had two things to do tonight – attend a screening of Pixar’s Inside Out and write a blog post. Although I intended to write about a costume item, I can’t stop thinking about this movie and its implications. The movie explores the workings of a young girl’s mind and emotions. Riley, the main character, is 11 years old and spends the movie struggling with a major life change. We watch the story unfold, both inside and outside her mind. I promise I won’t give any major plot points away. The world Pixar creates inside Riley’s head is complex and insightful. Her entire personality and her resilience – her ability to deal with adversity – is based on certain “core memories.” These are Riley’s foundation. For Riley, these memories are filled with Joy. Created when she was very young, Riley’s core memories are consistently reinforced as she falls back on them again and again while she grows. Because her core memories are happy, Riley is essentially a happy person and uses this happiness to overcome challenges. Fear (voice of Bill Hader), Sadness (voice of Phyllis Smith), Joy (voice of Amy Poehler), Disgust (voice of Mindy Kaling) and Anger (voice of Lewis Black) guide 11-year-old Riley from Headquarters, the control center inside her mind. 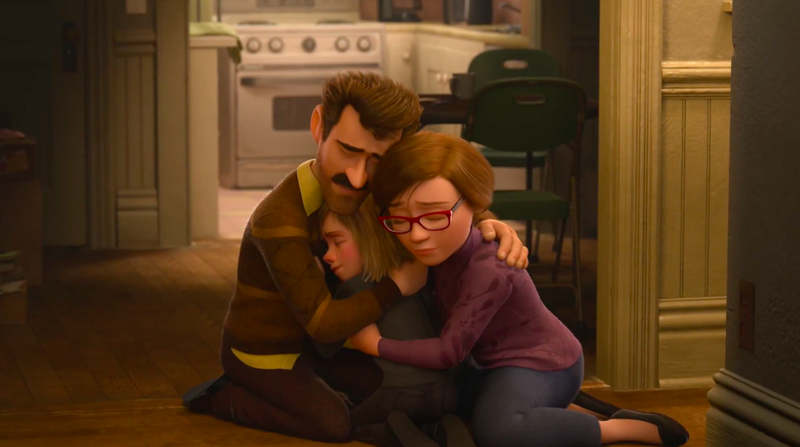 Directed by Pete Docter (“Monsters, Inc.,” “Up”), Disney•Pixar’s “Inside Out” opens in theaters nationwide June 19, 2015. ©2014 Disney•Pixar. All Rights Reserved. The implication is that we all have core memories and strong personality traits defined by them. But what happens when our core memories are not happy, but sad? Or angry? Or Fearful? The implications are tragic. A child whose core memories are any of these would be defined by the corresponding emotion. When faced with adversity, a child without joyful core memories would fall back on something else. Like fear. Purely fearful core memories would result in a child cowering and running when challenged. Anger would cause a child to lash out when dealing with hardship. Sadness could lead to deep depression. This is what life must be like for abused and neglected children. 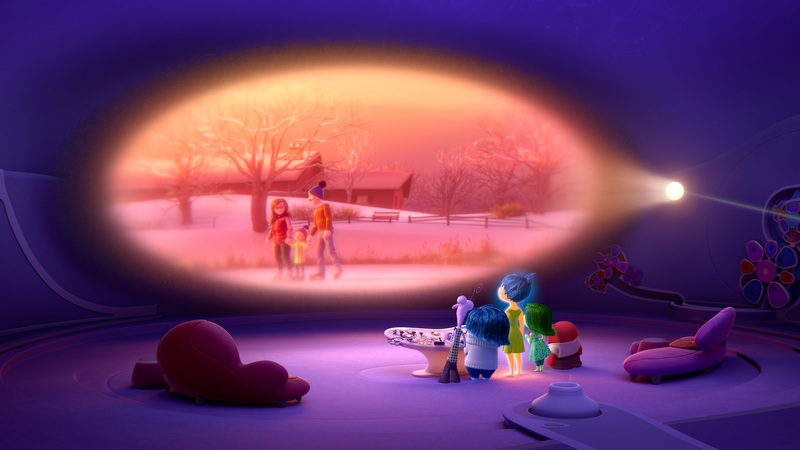 In this Pixar world, the traumatic events abused children experience would be so strong and defining that sad and fearful events would make up the bulk of their core memories. This would affect the way they act, the way they confront challenges, and the way they view the world. Sadly, it is very hard to change core memories. They are the foundation. I, like Riley, was fortunate enough to grow up with joyful core memories, memories I can fall back on when things get rough. Others aren’t that lucky and find themselves confronting life with a shaky foundation, one that leaves them prone to distress and anger. Maybe we can’t change the sad or fearful core memories, but we can add a little joy to the lives of these children. Create happy memories and nurture them. Give the emotions living in their heads the tools and the base they need to deal effectively with challenges and, well, life. Maybe, hopefully, we can add a splash of yellow to memories that are currently blue or purple or red. That’s what this project is about. I’m just a normal guy, but at least I can dress like a Marvel character and raise a few dollars for those trying to help them. This entry was posted in Children in Need, The Race and tagged CASA, Children, costume, disney, foster care, fundraising, guardians of the galaxy, inside out, Kids, Marvel, non-profit, pixar, review, Star-Lord, Superhero on June 17, 2015 by Liam. Liam, I happened upon your goal via Facebook and I just wanted to say that I’m really inspired by what you’re doing. I’ve never heard of CASA before and I will certainly be looking into it to learn more. It’s also interesting that my kids were just talking about this movie today after seeing a commercial for it. I didn’t see the commercial so I had no clue what they were referring to and made a mental note to look into it. So I’m really happy to hear what you have to say about the film. Our kids are lucky to have a wonderful childhood too, but it’s really tough to the ways all kids struggle emotionally in different ways and not always know as an adult how to best help or relate to them. This concept of this movie seems phenomenal, and will hopefully help both kids and adults recognize and connect on some of those really important areas. Can’t wait till it’s out! Best of luck in the upcoming run, we look forward to supporting it! Thank you so much for the wonderful comment. It really means a lot that you read the post and thought enough of it to leave a note. You made my night. I hope you and your family enjoy the movie! It really is fantastic. Also, I thought that I would mention that I just stopped by your blog and it is wonderful! I’m definitely going to be a regular visitor! This is so great, Liam! Your goal is very commendable and a place like CASA ensures that children can still have happy memories. Its a fascinating review. This movie is on my summer – must watch list! Thanks, Amruta! You should definitely see it. Totally worth it.